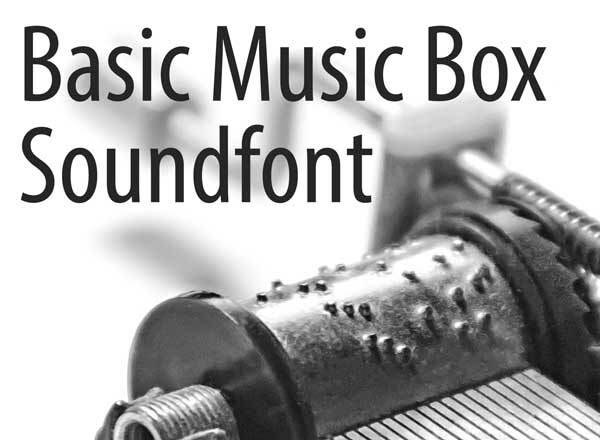 The "Basic Music Box Soundfont" was recorded from a real music box. Therefore, it sounds just like a real one. You can get get the soundfont down below for free. All notes that are out of range for the sound of a typical music box are pitched, making it possible to play almost every piece that you may think of. The soundfont is not yet adjusted for midi-mapping, so usage as a single instrument as a standard in realtime-rendering is not supported. For music production however it works perfectly. If you want to use the soundfont, please consider giving credit or share a link to this download page. Thanks a lot!